By real estate investors - for real estate investors. 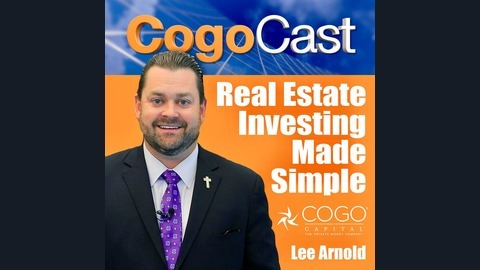 'CogoCast: The Real Estate Investors Podcast' provides a glimpse into all of the inner-workings, systems, and education of real estate investment entrepreneur Lee Arnold, his company Secured Investment Corp, and all of its real estate investment subsidiaries: Cogo Capital: The Private Money Company, The Lee Arnold System of Real Estate Investing, Arnold Professional Holdings, and He's The Solution Ministries. Education and mentoring are taught nationwide. Enter The Circle of Wealth! It's Investing Made Simple. As a full-service Private Money lender for real estate investors, Cogo Capital does most of the leg-work for you, while you build up your real estate portfolio and cash-flow all your deals. Whether it’s for wholesale, rehab, or buy and hold for long-term cash investment deals, Cogo Capital delivers fast and easy access to Private Money. We’re an equity-based lender which means we care more about the property’s merits and don’t focus on poor credit or some of the other factors conventional lenders use to rate the risk. In this podcast, Chief Financial Officer of Cogo Capital – Jaclyn Olsen peels back the layers and breaks down the perfect loan. Tune in as she covers real-world deals and shows you how to use online tools to figure out the value and your max allowable offer. 4:12 – About Cogo Capital Chief Financial Officer – Jaclyn Olsen. 12:48 – Cogo Capital’s Maximum Allowable Offer Calculator. 13:57 – Going over our loan programs/case studies. 22:00 – Using Zillow to analyze your real estate investment. 24:10 – How to use Cogo Capital’s Maximum Allowable Offer Calculator. 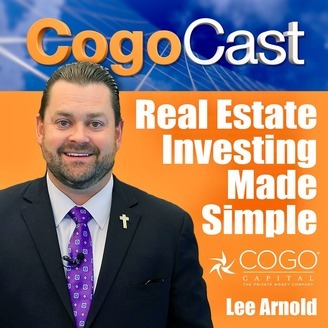 28:53 – Breaking down your Cogo Capital loan quote. 1:06:18 – Continuing to use Zillow as a tool to vet your deal. 1:11:55 – Get experience: Claim your tickets to the Nationwide Funding Tour! 1:13:29 – Have a deal? Submit it today!